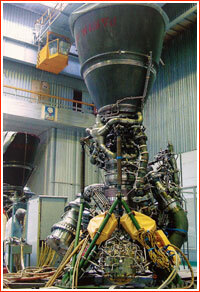 Developed at NPO Energomash in Moscow, the RD-191 engine was based on the RD-170 engine family originally intended for the Energia super-heavy rocket and for the Zenit launch vehicle. While the RD-170 used four combustion chambers, the developers essentially split it into four parts to form a one-chamber engine for the URM-1 module of the Angara rocket. 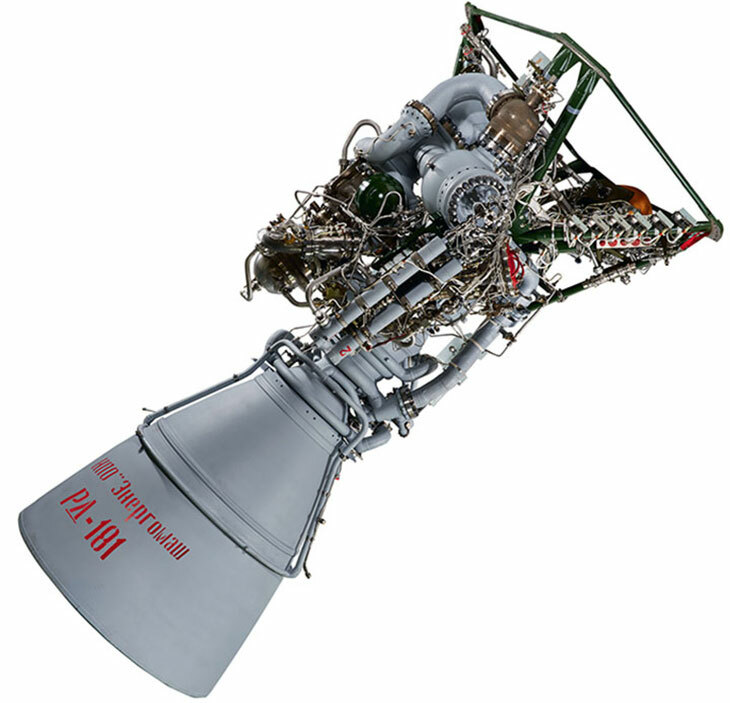 One version of the RD-191 engine, designated RD-193, was intended for the Soyuz-2-1v rocket and a similar upgrade, known as RD-181, was proposed for the US Antares rocket during 2010s. Unlike its two siblings, RD-193 would not have a gimbal capability, relying instead on the special steering thrusters. According to Roskosmos, RD-181 could be throttled in flight from 100 to 47 percent of its thrust and gimbaled up to five degrees. According to NASA, RD-181 also features a variable mixture ratio for controlling relative flow rates of oxidizer and fuel. 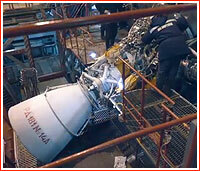 In September 2013, KB Yuzhnoe also proposed its RD-810 engine for the Antares. The company promised to begin deliveries of the engine in 5.5 years at a price tug of $500 million. 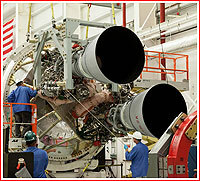 However, Orbital chose the RD-181 engine for the project. On Jan. 16, 2015, RKK Energia, parent company of NPO Energomash, announced that it had reached an agreement with the American company Orbital ATK Inc. on the export of RD-181 engines for the first stage of the Antares rocket, thus replacing the NK-33 engines previously used on the launcher. The contract, worth around $1 billion, was actually signed and ratified by the Russian government in December 2014. According to the document, a total of 60 RD-181 engines would be delivered to the US beginning in June 2015. 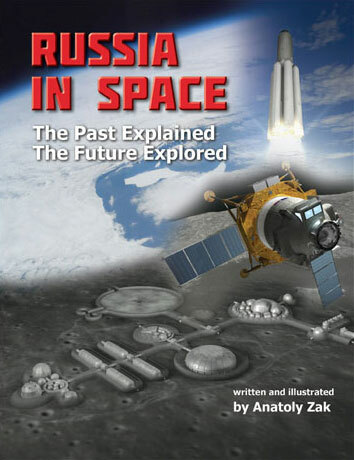 According to Roskosmos, the design documentation for the RD-181 engine was issued back in 2014, apparently in anticipation of the upcoming sale to the US and it was test-fired for the first time at the beginning of 2015. On May 7, 2015, RD-181 successfully completed its seventh and final firing test intended to certify it for the use on the Antares rocket. At the time, NPO Energomash reconfirmed that the first batch of RD-181 engines had been in production and would be delivered in June. According to the company, the engine was developed in a record-breaking short period of time not exceeding six months. 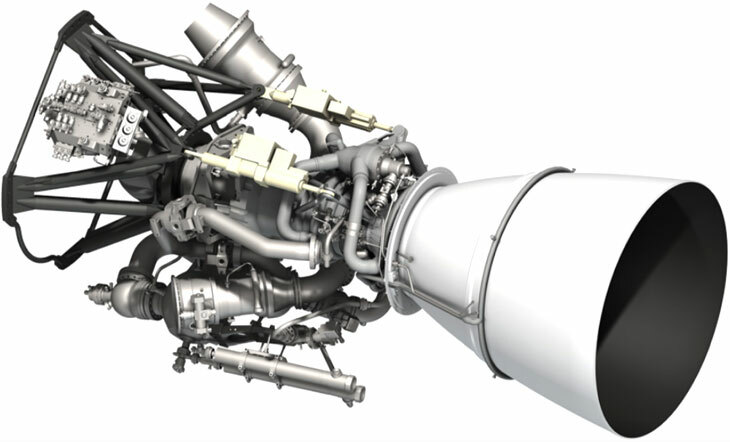 On March 16, 2018, NPO Energomash announced conducting another planned testing of the RD-181 engine. According to Deputy Chief of the NIK-751 test facility Sergei Kuznetsov, the firing went as planned without any glitches and the test program was completed fully.